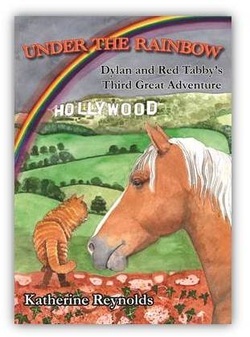 Please come and meet our two stars... Dylan de Polka the tap dancing horse, and worldly-wise Red Tabby - a ship's cat with no fear of heights.
.'Born to Dance' tells how cat and horse first make friends and how they meet an abandoned circus troupe. Dylan reveals his dazzling talent, Red Tabby takes up the trapeze. The growing success of the now animal-owned circus brings big trouble and many adventures. are driven from their home by land-grabbers. Red Tabby knows a place of safety. Or is this the end for the Happy Days Circus? 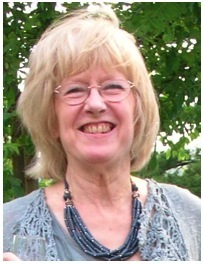 may enjoy visiting AUTHORS' DEN:- see links below. The trilogy, in paperback, is on Amazon, and from good bookstores at £7.95 each. and on Amazon.com in USA. Visit Great Park 's profile on Pinterest. Martin Hill’s newly published Tiger by my Bed is about his tiger friend Indy and her visit to Great Ormond Street Hospital.